If you find yourself lucky enough to be in New Orleans for Mardi Gras festivities this year, look no further than the local food trucks for the answer to your Fat Tuesday dining needs. 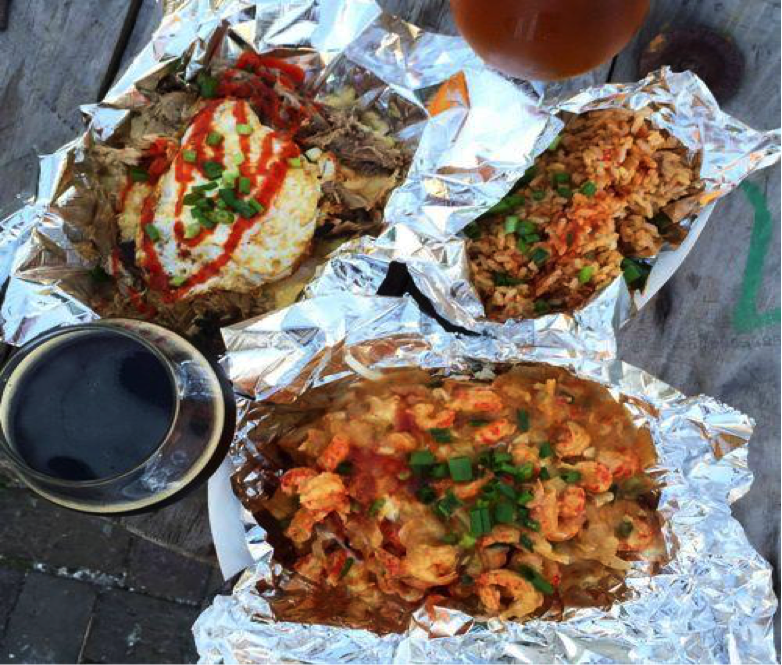 There are some amazing options in The Big Easy, but these seven trucks are must-tries during your stay in NOLA. 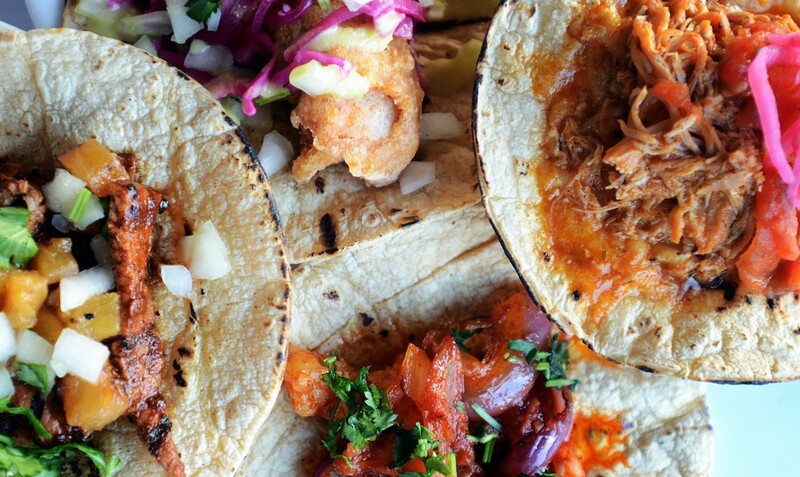 With everything from Korean style tacos to Louisiana classics like blackened shrimp po’ boys, your Mardi Gras is guaranteed to be a delicious one. 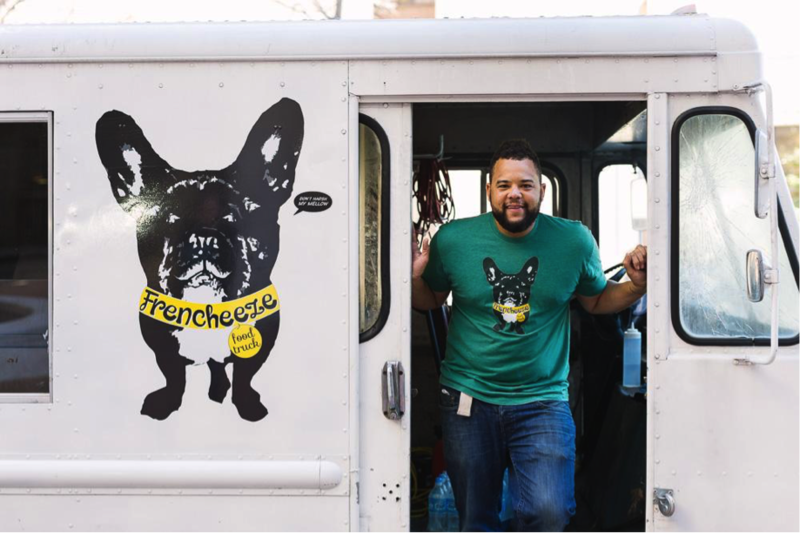 This eye-catching truck with an adorable French Bulldog on the side (his name is Bootz and he belongs to truck owner Jason King) is a must-try during Mardi Gras. Creative grilled cheese creations like The Gary, which consists of goat cheese, grape jelly, and bacon on a croissant, or The Wilbur, a combination of pulled pork, bacon, blue cheese and BBQ sauce, make the perfect meal for this indulgent holiday. And just because it’s Fat Tuesday, be sure to add an order of the fried mac and cheese balls for good measure. 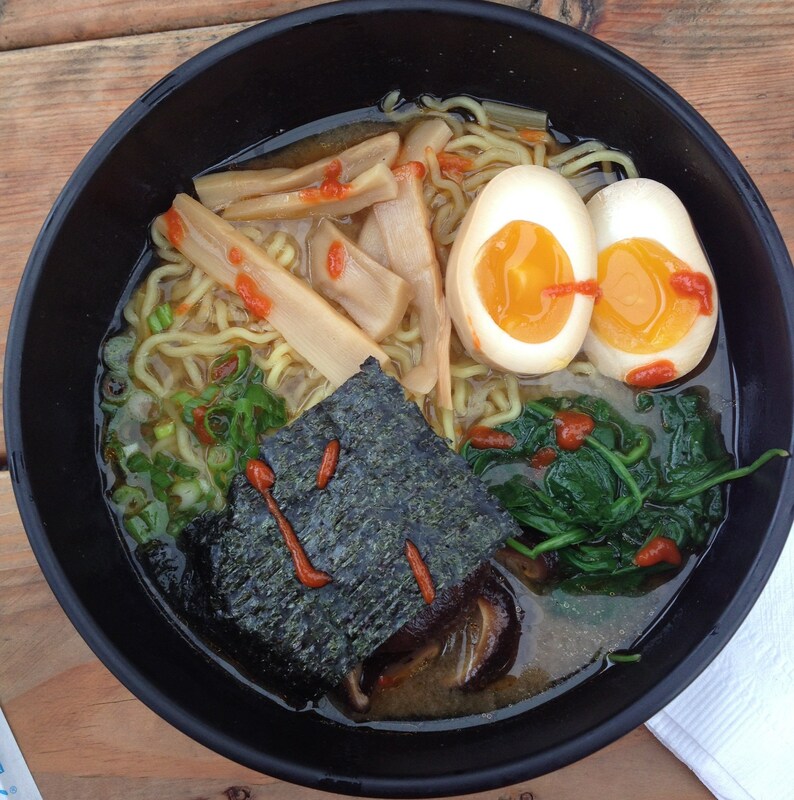 Foodie Call is exactly the kind of truck that you want to stumble upon after partying in the French Quarter all day. Delicious comfort food favorites like southern fried chicken sandwiches, parmesan garlic truffle fries, and meatball sliders can all be found here, but it’s really items like the pork confit sandwich and the Cajun meat pie that make stopping at Foodie Call worth the trip. If you’re looking for something straightforward and scrumptious, order the Original Foodie Burger and rejoice in the simplicity that is a juicy burger, cheddar cheese, caramelized onions, and homemade ketchup. Ironsides Waffles, a food truck based out of Tulane University dining services, proves that almost anything tastes better inside a freshly baked waffle. 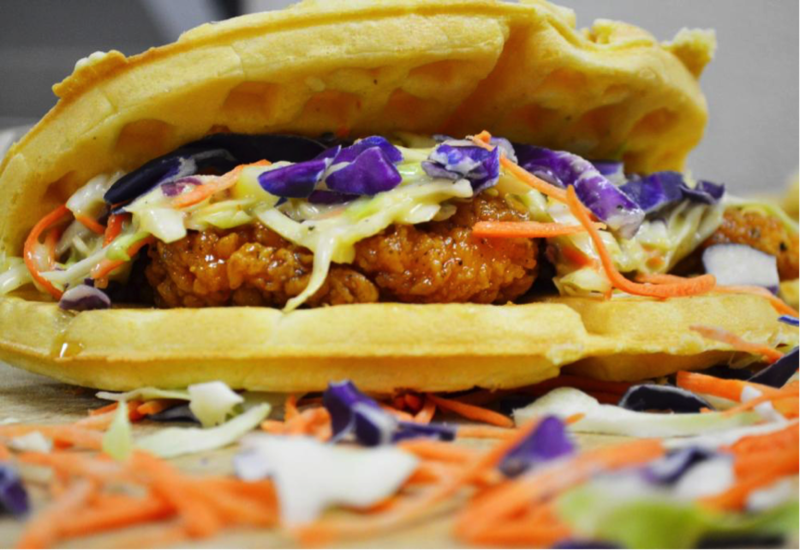 Go for the New Orleans hot sausage waffle or try The Sidekick, which is what happens when a spicy chicken tender is covered in maple syrup and Southern cole slaw and then wrapped up in a delicious golden waffle. If you’re looking for a simple sweet treat, order the peanut butter and jelly (homemade from Tulane’s own Luizza Farm) which is the perfect thing to snack on while watching the many parades that Carnival season has to offer. Get your taco fix in NOLA with Taceaux Loceaux, a tasty truck that’s been serving creative cuisine in The Big Easy since 2010. Take a break from collecting beads and order the “Seoul Man”, a Korean-style chicken taco that combines flavors of barbecue and garlic, tart pickled onions, and topped with a Sriracha sauce. 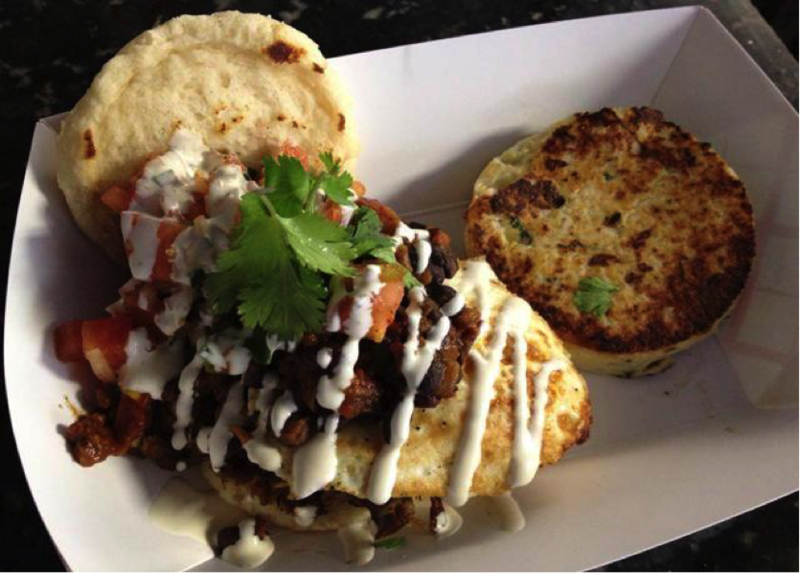 Vegetarian Mardi Gras goers can rejoice in the fact that Taceaux Loceaux has a killer chorizo-style tofu taco that is so tasty you’ll find yourself tearing into it on the spot. 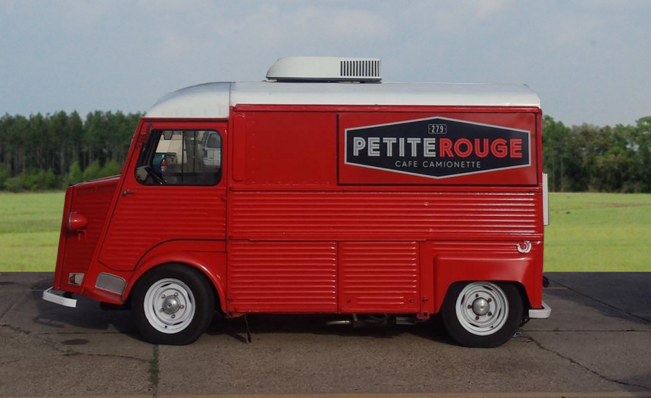 Keep an eye out for this charming red truck, as its fresh roasted espresso drinks and drip coffee are exactly the boost you’ll need to keep Mardi Gras-ing all day and night. 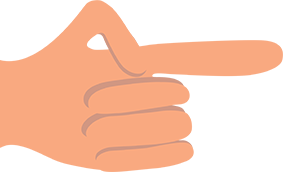 Using only local beans, milk, and sugar, as well as making their flavored syrups in-house, Petite Rouge is serving up the some of the most delicious cups of coffee that New Orleans has to offer. Also offering tea, breakfast breads, and petite cookies, this truck is the perfect midday pick-me-up for everyone in your party group. 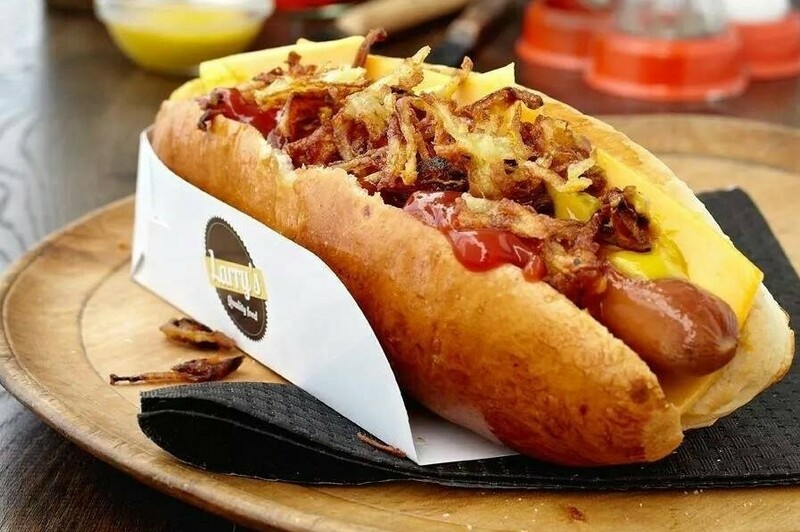 While alcohol consumption is not required to order a meal from the Food Drunk truck, a few drinks before might make some of their menu items look extra appetizing. 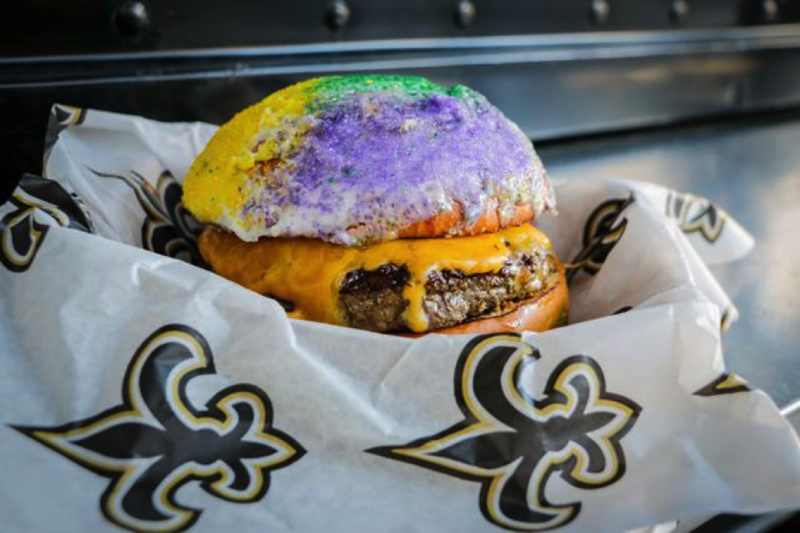 Take, for example, the King Cake Burger, a freshly ground Angus patty topped with cheddar cheese and served on a brioche bun with green, purple, and gold icing. And what better dish to go with this incredible burger creation than thick cut potato wedges fried in duck fat? That’s right, Food Drunk has duck fat fries with rosemary sea salt, along with crab and crayfish mac and cheese, both of which will make all your wildest foodie dreams come true. It wouldn’t be a true New Orleans experience without some crayfish, a blackened shrimp po’ boy, or cheesy garlic grits served with a fried egg on top, which is where the King Creole truck comes in. 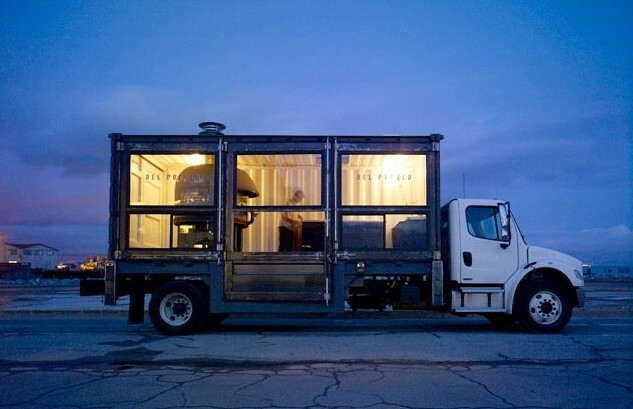 With a head chef who’s been mentioned in Bon Appetit and has received accolades like winner of the 2014 NC Food Truck Championship, Micah Martello and his “hip blend of Creole and Cajun” cuisine are a can’t miss. As they say down in NOLA, “laissez les bons temps rouler ” (let the good times roll) with these seven must-try food trucks and happy Mardi Gras!